And lo and behold the return of the beloved curves on a woman. From decades of curves on our magazines and newspapers to sudden disappearance on TV and social media…when did our curves get erased alongside technology? With the rise of technology, we see more self-hatred of body images, more picture retouching and more bullying for embracing our curves. But our curves have done us so well for generations in the past and were once a sought after and a desirable element in a woman. It might’ve disappeared, but Ameni Esseibi is making sure that curves are making a comeback especially in the Middle East. So long are the days of unattainable size 0s and hello size-inclusive online retailers that are offering a range of different sizes and styles for plus size women in the Middle East. This ground-breaking move is the right step to teaching young girls and women that curves are not something you learn to live with – but rather something you learn to embrace and love. 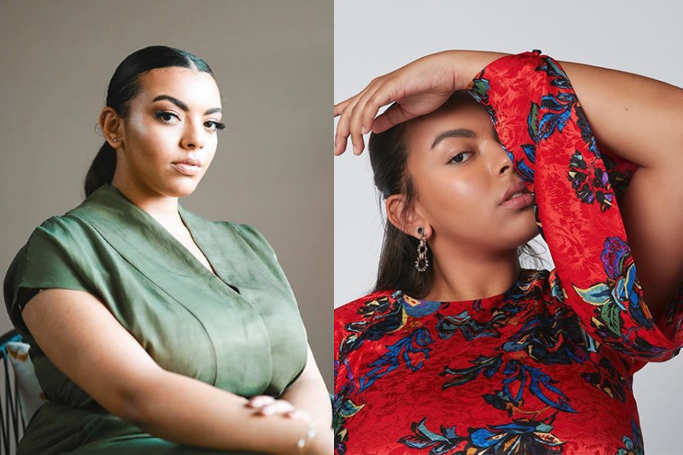 Ameni Esseibi could quite possibly be the region’s first successful plus-size model and as she explains that it’s almost never an option for Arab women, who are larger than a size UK 14, to even consider stepping foot in the modelling industry. But she is here – standing tall and proud – showcasing her curves for women and brands in the Middle East to take note. The 20-year-old French-Tunisian model has a larger than life attitude and true love for her curves...and could be the best role model for young girls to follow. She explains that wasn’t always the case while living in Dubai for the past 15 years, she was so insecure about her curves as a teenager and explained that the region is insecure about bigger sizes too. But as she grew up, she became confident in her own skin – even when she was curvier than most of her friends in high school – Esseibi did what she thought was best: she ignored other people’s opinions and just focused on her own. “We are in a very judgemental environment here in the Arab world, and not all of us have the strength to face that judgment. I just wanted to change that, to show how gorgeous any woman can be just the way she is,” Ameni Esseibi told The National. So here are 10 times this gorgeous curvy model absolutely slayyyyyyyed and we’re obsessed!